SPATIAL INNOVISION LAUNCHES TRAINING SCHEDULE FOR 2015 | Spatial Innovision Ltd. 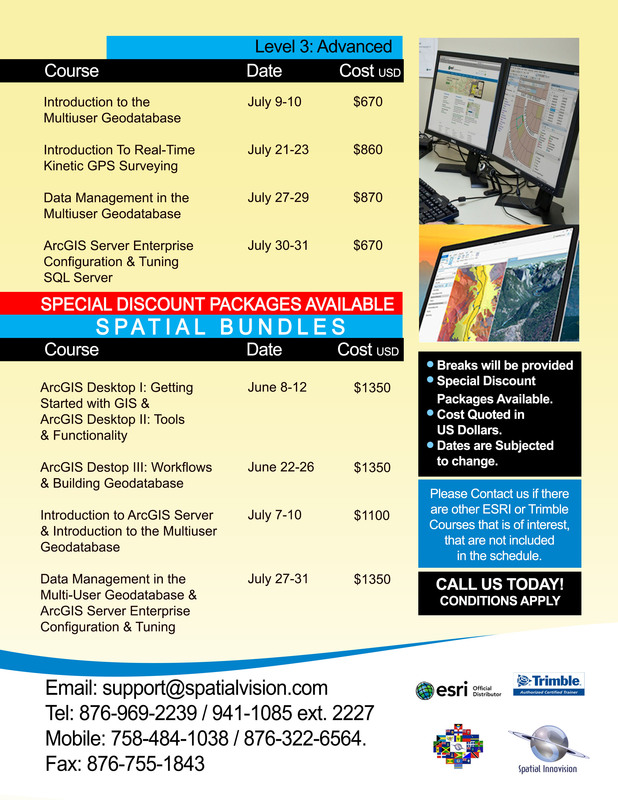 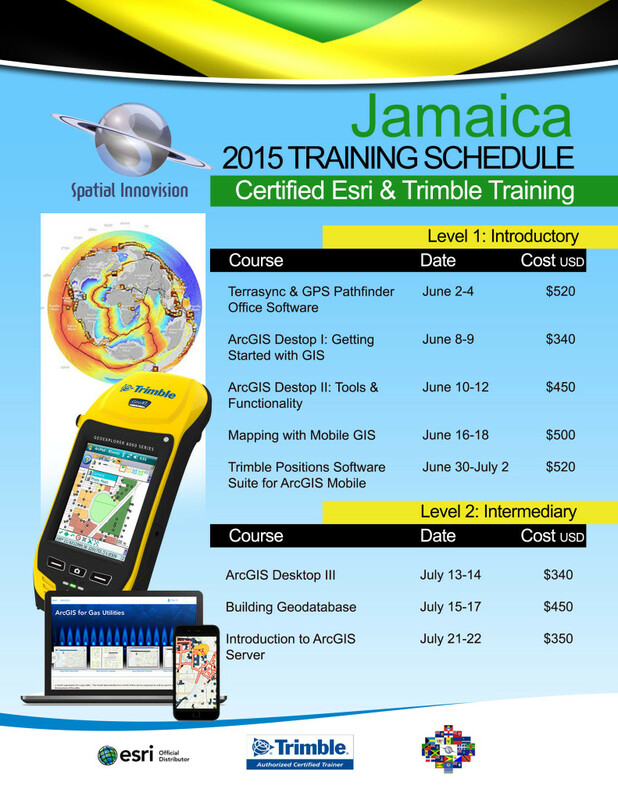 The Caribbean leader in Geospatial Solutions, Spatial Innovision Ltd, has announced its list of certified courses for 2015. 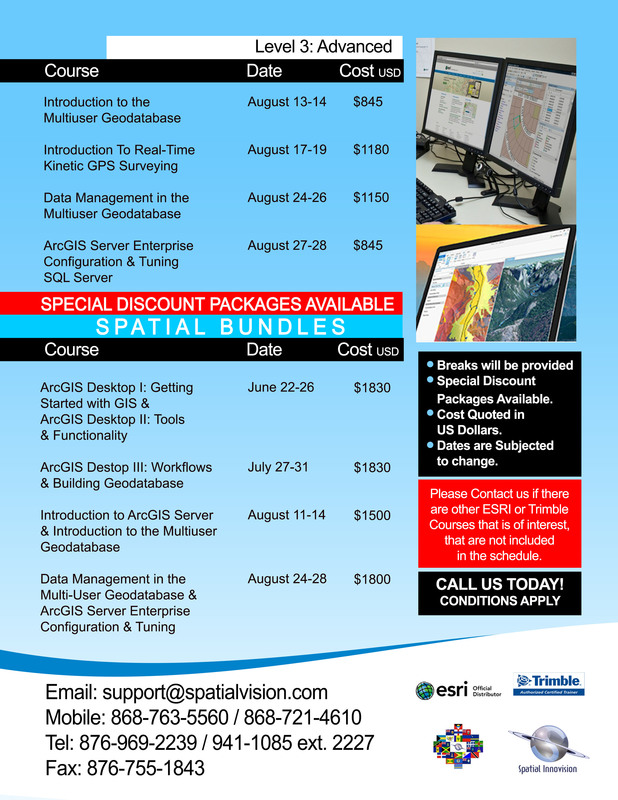 The range of short courses vary from Introductory to Advanced levels in GIS and GPS technology and is ESRI and Trimble certified respectively. 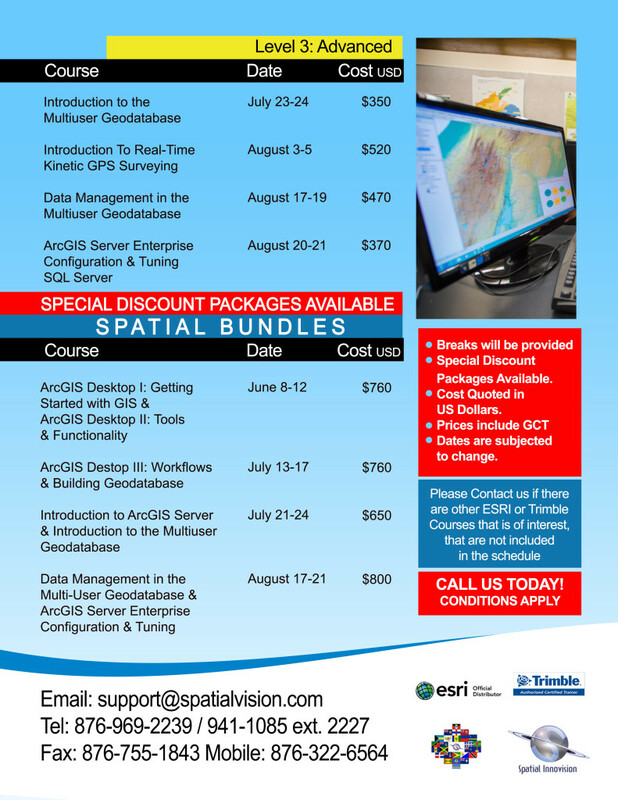 "Every summer Spatial offers a wide variety of courses all tailored to improve the knowledge base of the region's GIS and GPS practicioners", said Roshaun Clarke, Marketing Manager at Spatial Innovision. 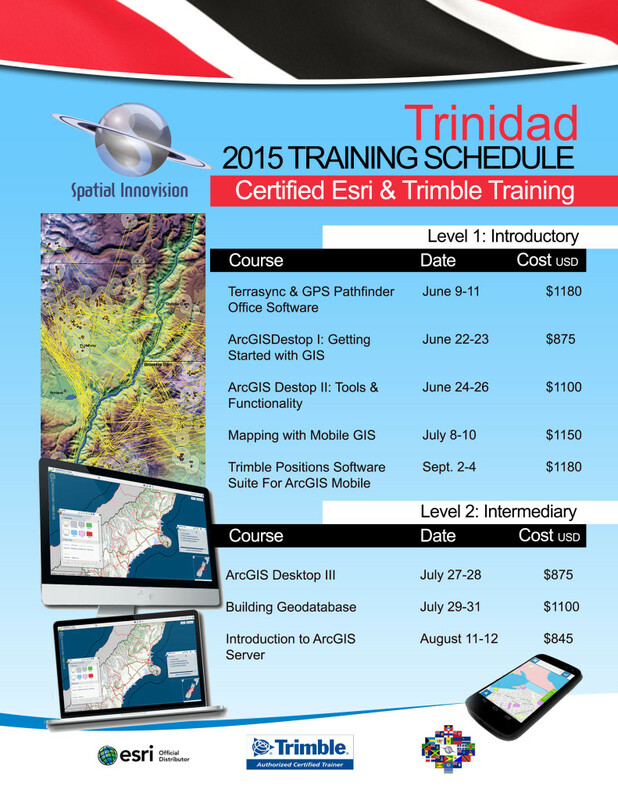 This year is no different in the dynamic offering, however, 2015 will see an addition to the list of countries for the training. 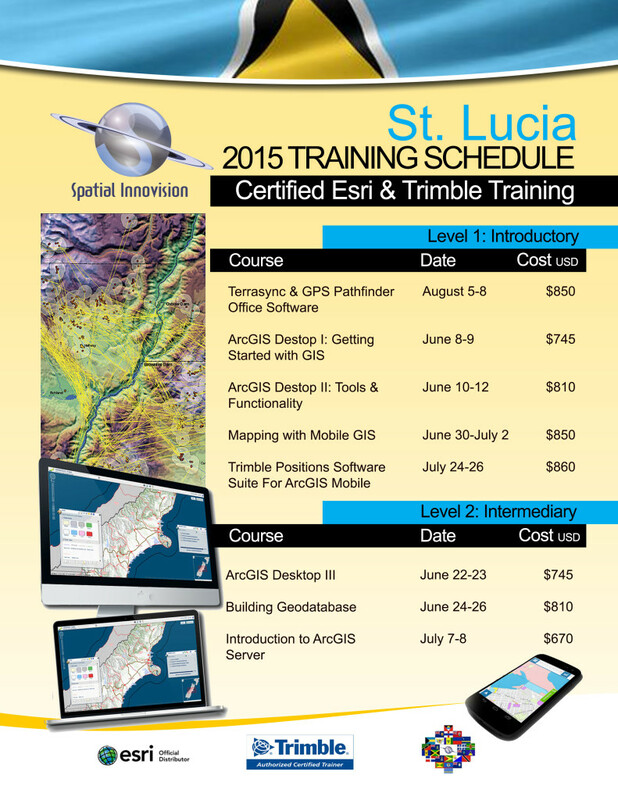 "Traditionally, our courses are held in Jamaica and Trinidad, however this year we are pleased to add St. Lucia to the list of countries where classes will be held!"